We have carried this wonderful book since its inception in 1993. Now, after a few years absence it has returned in a beautiful new hardcover format, completely revised and updated. 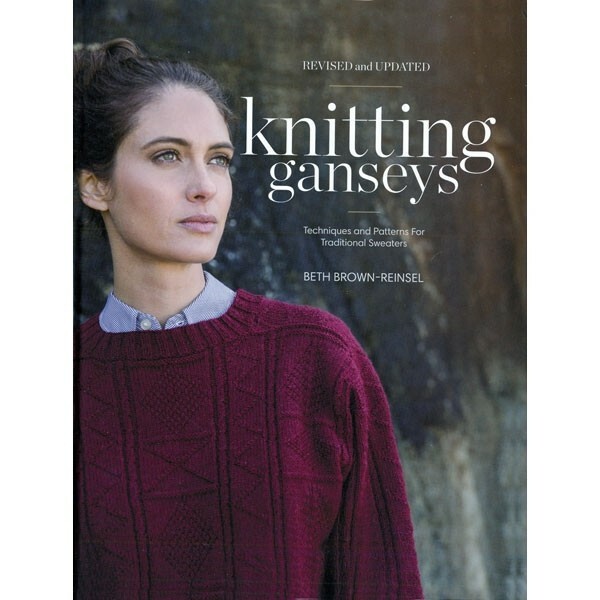 Detailed historical background, plus Beth’s original concept of knitting a small Gansey (which includes each and every technique as you follow the chapter-progression), is maintained, and is accompanied by many more choices as you work through these classic garments. Chapter 12 provides full details for you to knit nine different garments: from classic pullovers to the stunning tunic/dress shown at left. Hardcover.